This is the first in a series of posts in which members of our still-small staff raise topics for discussion. Since I'm a veteran of both the journalism and advertising businesses, I'll start this discussion. First, we're wiping all advertising off the Linux Journal site and starting with a clean slate. This is a bit complicated because we're also upgrading the site from Drupal 6 to 8, which is a bit like rebuilding an occupied house. So bear with us through that. All I ask, before we start, is that you at least take a quick glance through what I've posted in my People vs. Adtech series. Much of both address options for advertisers, publishers and readers have in a world where the most important, widespread and growing leverage is at the personal level. Also read Don Marti (blog, @dmarti on Twitter), our former Editor-in-Chief and a top source of wisdom on publishing, advertising and the actual and potential technologies that can carry us all forward. And we are ambitous here. One of our intentions, as we move forward with Linux Journal 2.x, is to explore and pioneer new business models for publishing and journalism in the networked world. We've only had commercial activity in that world since 1995. So it's still early, and the sky is open to the stars. There are lots of ways we can go. 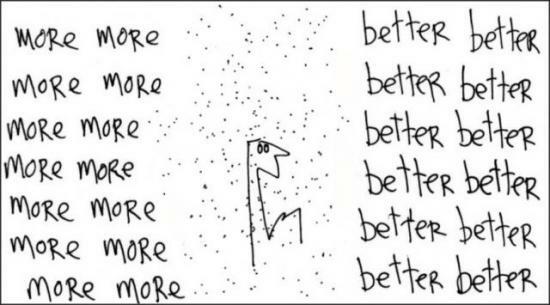 A hat tip to Hugh MacLeod (@Gapingvoid) for the image above, which he drew for a project he and I did for a since departed open source company in 1994.